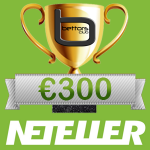 In this betboro review we are going to present a new and promising bookmaker. 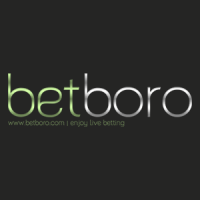 Betboro has quickly established itself as one of the world’s premier international bookmakers, providing players with the best odds and services. 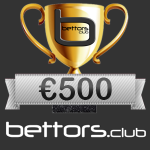 They serve experienced bettors as well as novice enthusiasts from all over the world. No matter where you are in the world, you can Enjoy Live Betting on their website. The secure betting is non-negotiable, betboro uses the best technology on all web pages that contain your personal information and the most advanced firewall protection and intrusion detection technologies. This ensures the safest platform for keeping your private information and transactions secure and fully protected. They have a friendly customer service department which is available 7 days a week to answer any questions you may have. Being incredibly committed to deliver the most complete, up to date, and accurate content to their clients along with unprecedented and rapid response customer service, betboro is there for you. You will find odds in all major and minor leagues in the world. Their payout service is faster than most other companies offer and are committed to constant improvement to offer the best possible service. -Offering more than 20.000 live events across all sports, you can Experience the LIVE feeling! Enjoy Casino and Live Casino with betboro, they have the most played and the most interesting games on their site, also new games are added constantly. If you are ready to hit the jackpot, Welcome to Las Betboro!!! Backgammon, Fantasy and much more you ca find on betboro. With high odds and a bonus you are good to GO! Dedicated, friendly, knowledgeable and helpful staff is there whenever you need them. Webmedia Development N.V., registered in Curacao under number 130645 (0), operates the brand name betboro.com. Webmedia Development N.V. is authorized and regulated by Curacao E-Gaming. The company holds the license from the government of Curacao for gambling. Webmedia Development N.V., E-Commerce Park Vredenberg, Curacao – all rights reserved. Hi all, could you tell me the minimum bet, thanks! At betboro: 6.2 The minimum stake for a bet is 1-10 depending on the (currency unit).